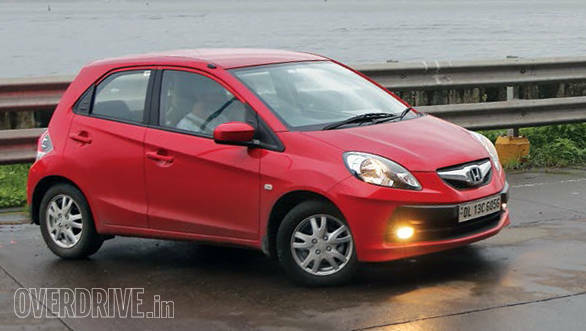 Speaking to Honda, OVERDRIVE learnt that the Brio has been discontinued in India. Also, according to our source, the manufacturer has no plans to update the hatchback nor to bring any replacement. Honda introduced the Brio in India back in 2011 and the entry-level hatchback received a midlife facelift in the year 2016. However, due to low demand and poor sales of the Brio, the manufacturer has pulled the plug. This makes the Amaze the most economical proposition in Honda's portfolio which is priced from Rs 5.86 lakh ex-showroom Delhi. The current Brio is not compliant with the crash test norms which will come in regulation from October 2019 as well as the BS-IV norms which will come in regulation from April 2020. The car is still listed on Honda's website until the dealerships clear the stocks, however, post stock clearance we expect the car to be taken off the website. Honda had announced their plans to bring six new vehicles in the Indian market by 2020. The launch of the Honda CR-V in the recent past and the Honda Amaze, the two of the six cars are already on the roads. The soon expected Honda Civic that was spied on the Indian streets also hints that it could be the third car in Honda's line-up. Following the Honda Civic could be the fifth generation Honda City which was rumoured to be on cards of the Japanese carmaker. The Honda Brio is currently priced between Rs 4.66 lakh and Rs 6.75 lakh ex-showroom New Delhi. The hatchback is powered by a 1.2-litre petrol engine which produces 88PS and 109Nm of torque. Throughout its lifespan in India, the car was never offered with a diesel engine. Could that be the reason for the drop in its sales?